There are currently extensive efforts across the globe, by individuals and organizations, to create a positive future for humanity and all living creatures, indeed, for the whole Earth through sustainability, evolutionary consciousness, mutual understanding, interdependence, and common purpose. The Flourishing Earth Project proposes to identify, explore, and support such efforts. It is not a formal organization or in any way intended to duplicate the wonderful work already being done. It is rather a conversation that may take many forms: social networking, blogging, website coordination, books, and in person and other types of get-togethers intended to create a common vision of a flourishing Earth. It is about finding, or building, the will to make happen what is now believed by many experts to be possible, perhaps for the first time in human history. The informal dialogue of this project is open to all and will engage all points of view. We invite you to join in the conversation and Project by contacting us, contributing your ideas, and spreading the word. 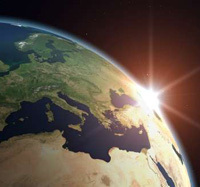 In June of 2009 a conference was convened that considered our collective scientific and wisdom narratives, past and current, and their implications for the creation of a sustainable and even flourishing future—Science, Wisdom, and the Future: Humanity’s Quest for a Flourishing Earth. The deliberations were highly interdisciplinary and created unexpected and fruitful synergies and a desire among many participants to draw something enduring out of the conference (beyond the conference book by the same name now in the editing process). In a series of post-conference meetings, several participants considered the possibilities and through their discussions, the idea for a Flourishing Earth Project arose. Interested in contributing to our blog? Please send relevant entries, 200 words or less, to OrionProjects@msn.com. And please link to our blog!